Just redoing http://www.fanart-central.net/pic-455087.html. 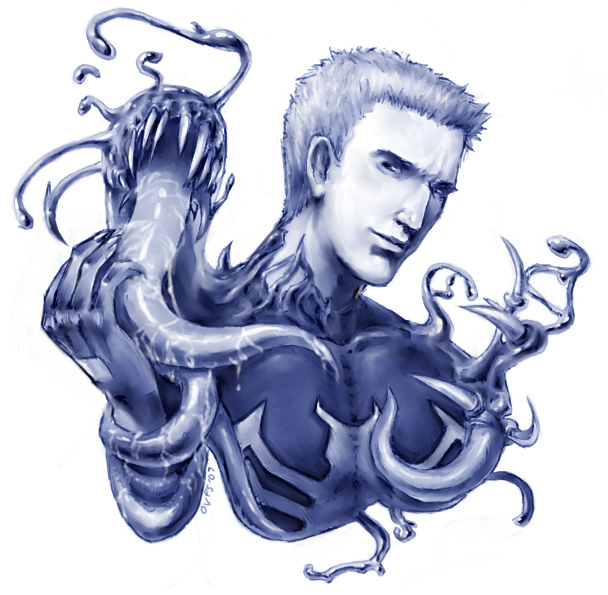 Eddie Brock with the Venom symbiote from Spider-man. Mostly just practicing with the blenders again. And trying to lean toward realism. Date Submitted March 30, 2007, 2:16:07 AM Time Taken 4-8 hours? WOW! It looks awesome how it all hangs off him! That is absolutly gorgeous. Great job with the highlights and shadows! Slightly bizzare, but it's a GOOD bizzare. I like this version better. Nice work. Can't wait to see more! awesome. i luv how u can see the saliva on the tongue.thats soo cool.